Komárom Fortress — all information. Komárom Fortress, Komárom: photos, description, on the map. Fortress of Komarno or Komar was built in the 15th century. 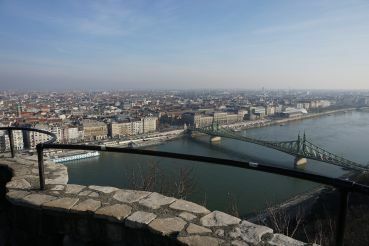 It is located on both banks of the Danube, in the Slovak town of Komarno and the Hungarian city of Komárom. The first inhabitants of the fortress were the ancient Romans, they have placed their camp here Brigetio, the remains of which have survived to the present day. The fortress is considered to be a symbol of these places, it had previously belonged to the Austro-Hungarian Empire. To date, the Slovak and Hungarian side in the former serfs structures placed museums. Three of the fort that was once an impregnable citadel belong to Hungary and Slovakia: Monoshtor, Igmand and Csillag. From Budapest to Komarno goes quite a lot of direct trains on which you can easily get to the Hungarian-Slovak border.